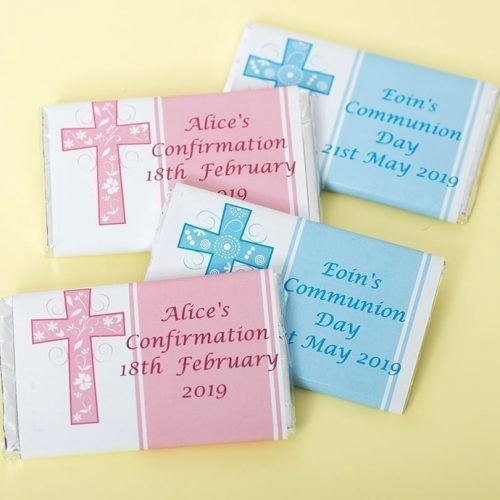 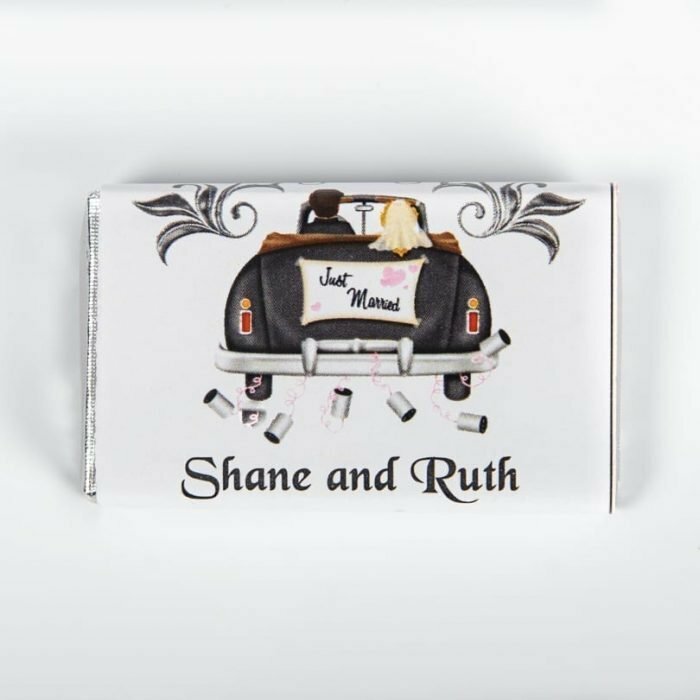 These personalised wedding chocolate wrappers with a just married car design are perfect for wedding favours. 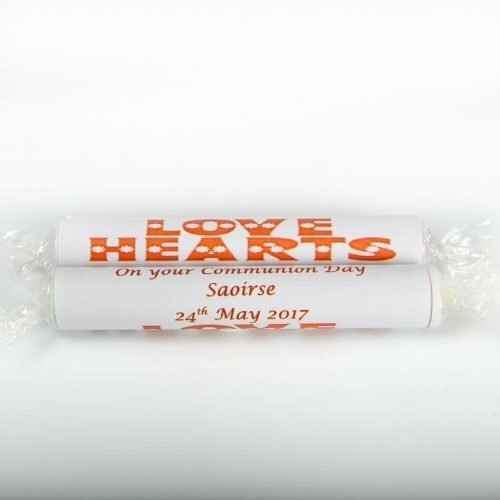 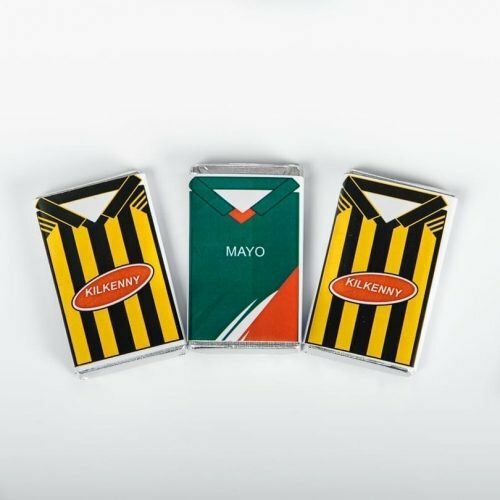 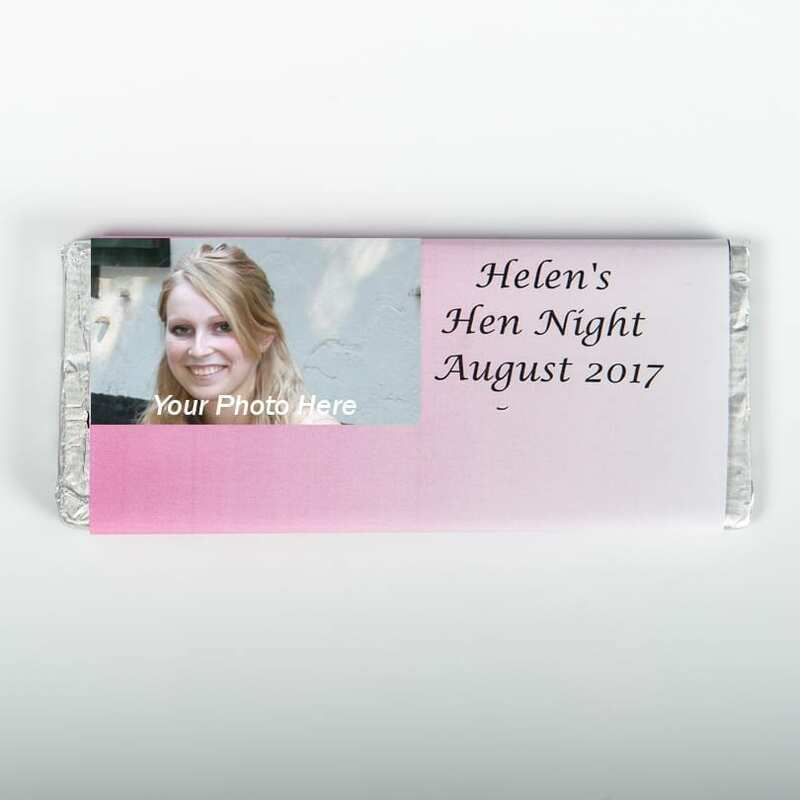 This wrapper can be personalised on the front and the back and comes with our mini 10g bar of milk chocolate wrapped in silver or gold foil. 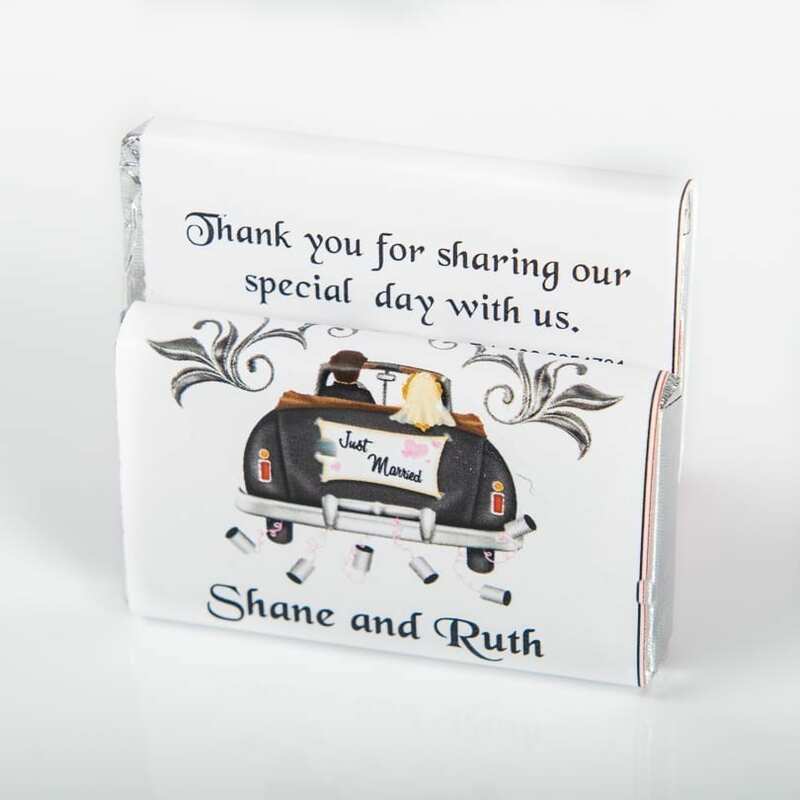 There is a choice of 3 designs, Bride & Groom, Bride & Bride or Groom & Groom.